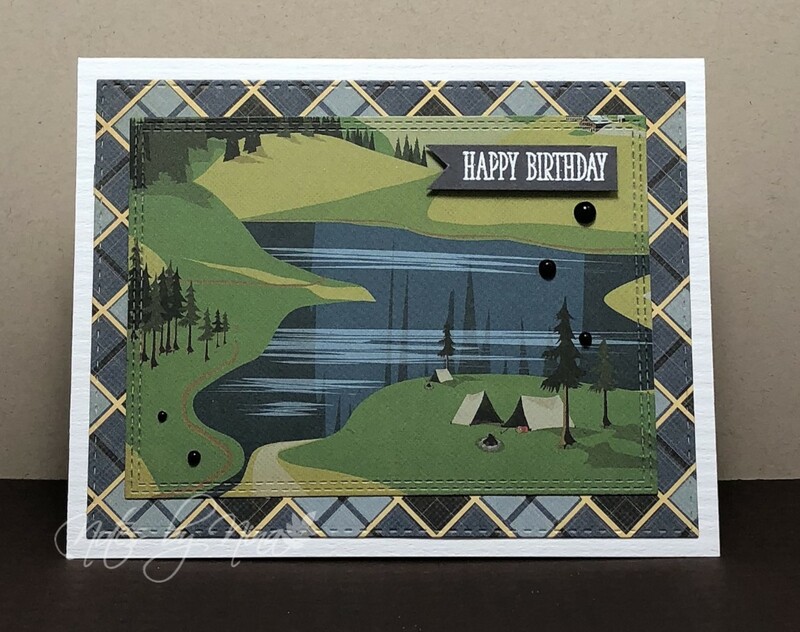 Quick and simple for this card, I used stitched rectangles to die cut the layers. I heat embossed the sentiment in white on a scrap of grey cardstock then finished with black half pearls. Supplies: White cardstock, Designer Paper - Carta Bella, Clearly Besotted - Many Mini Messages, Simon Says Stamp - Stitched Rectangles, My Favorite Things - Inside Out Rectangles, half pearls.